Comments Off on Our Gearmotor Blog has Moved! In response to the obsolescence of the Baldor-Reliance fractional horsepower (FHP) gearmotor line, we are excited to announce the addition of (70) new 90V and 180VDC gearmotors that are fully compatible with SCR speed controls. The gearmotors feature SCR rated windings that run at 2500 RPM armature speed at 90V or 180VDC respectively. 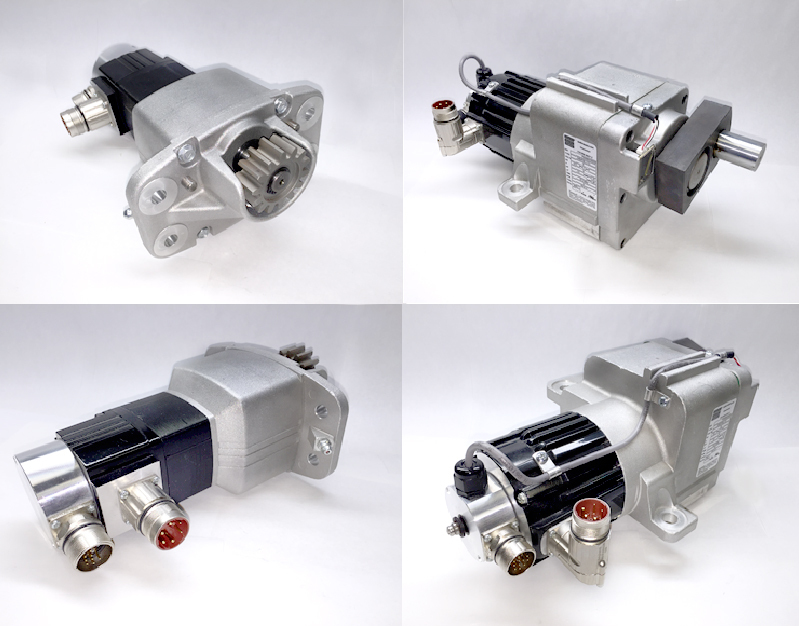 The new stock models can replace 90V or 180VDC gearmotors sold by Baldor, Bison Gear, Leeson, or Grainger. We offer three new “SCR Rated” parallel shaft series and one right-angle hollow shaft gearmotor series. The type 24A-Z, 33A-WX and 42A-FX parallel shaft gearmotors feature unvented gear housings and all-steel gear trains that are permanently lubricated for maximum life and performance. The type 33A-5L/H hollow shaft gearmotors are available with several shaft kits and a base mount kit that makes them a direct Baldor drop-in. We also offer unfiltered SCR speed controls: models 0865, 0866, 1865 for most 90V & 180V 24A and 33A “SCR” models [up to 1/5HP]. Our UPM control model 0867 is suitable for our 90VDC 24A and 33A gearmotors. 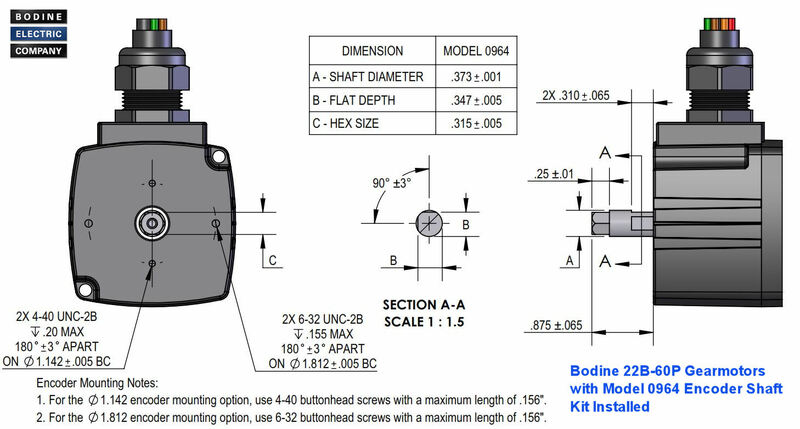 The SCR rated gearmotors and their corresponding controls and accessory kits are available through Bodine’s extensive distributor network and will be available from the Bodine web site. Custom designs are available to qualified OEMs. Typical OEM modifications include factory installed encoders or brakes, custom wire harnesses, and application-specific mounting and shaft details. Copyright Bodine Electric Company © 09/2018. All rights reserved. Our new type 22B4-60P gearmotors combine our high-performance 22B brushless DC motor with the all-new type -60P planetary (60mm) gearhead. The gearmotors’ relatively small diameter, wide speed range, and high torque-density make them an ideal drive solution for industrial automation, pumps, packaging equipment and many other industrial applications. Encoder-compatible with new optional screw-in encoder shaft kit. (Standard/ stock models supplied with factory-installed cover over shaft opening). Our 12 or 24V, PMDC and BLDC (EC) gearmotors and motors are ideal for low-voltage, battery or solar powered equipment, portable/mobile applications, warehouse robots (AGVs), and operation in remote locations where connection to an AC line is not possible. Factory-matched, integral motor and gearhead solutions ensure the right motor-gearhead combination for maximum system efficiency. Shown are custom versions of our 22B-Z and 34B-CG gearmotors for a warehouse automation application. To read more about these gearmotors, click here. Copyright Bodine Electric Company © 02/2018. All rights reserved.